1930 Hayes Druggist Directory page 270. 1920 Census: Thomas J. Crowell age 56 born abt. 1864 in North Carolina. 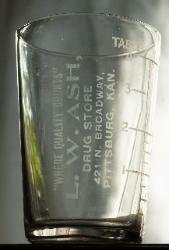 Counts-L. W. Ash Drug Store 421 N.